As everyone waits for the world to embrace solar energy on a massive scale, most of us have forgotten to notice how solar energy has affected our lives in simpler ways. Everyone has come across a small four-paneled solar cell in a product that seems uninspiring. We hardly notice this as it seems almost perfectly logical for this item to use solar energy to operate. 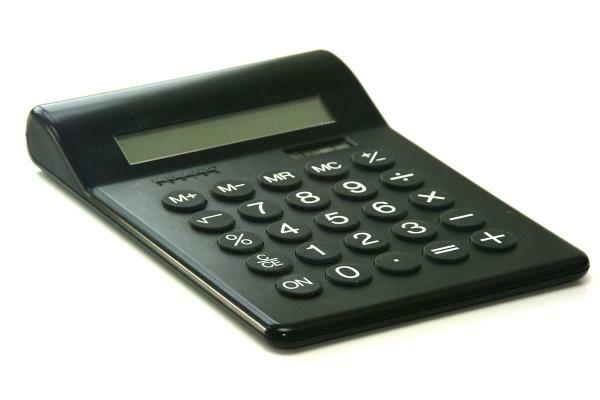 It’s the calculator sitting on your desk. 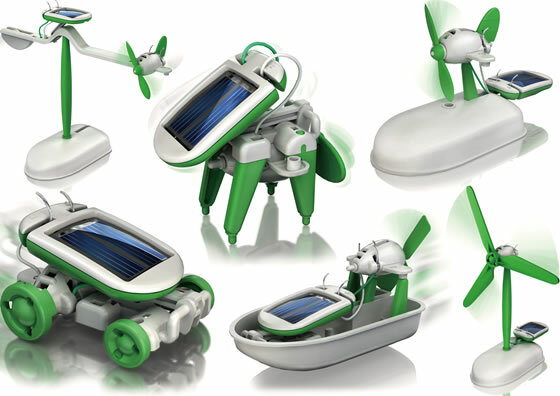 In a reversal of perspectives, take into consideration how solar innovations have crept into our daily lives. Since the cost of producing solar panels has decreased, and new technology has allowed for a more pliable solar cell, we can expect solar technology to revolutionize energy usage in the most unexpected ways. Imagine a household where none of our appliances or electronic devices are plugged into an outlet, or toys and electronic devices that do not need batteries. 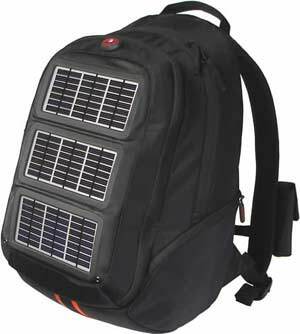 Though this is not entirely the case as of now, here are some gadgets on the market that lead the way in a brighter solar world. 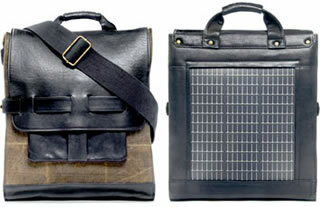 The combination of solar film and fabric has given the individual an energy source that’s literally strapped to their shoulders. The utility of an item like this can be understood right away. It means that one should never be left with a dead electronic gadget. However, there are further implications to this concept. 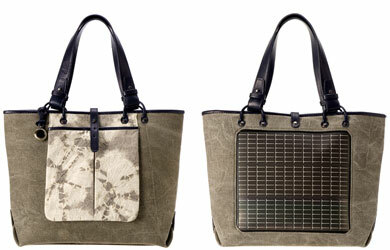 Together, solar film and fabric can be used in many ways. Imagine curtains, tents, or umbrellas as sources of local energy, or the entire human population wearing solar fabrics which may later transfer energy back into an electrical grid. Battery operated toys have been the bane of young children throughout the world. Newly purchased toys with the dreaded label “Batteries not included” will not have to exist anymore. This innovation may not solve the world’s future energy crisis or global warming issues, but it would allow children all over the world one less disappointment. Solar electronics would solve the same issue mentioned above, but instead of relieving disappointed children, it would relieve embittered businessmen. The first image above is a solar covering case for the iPod touch. 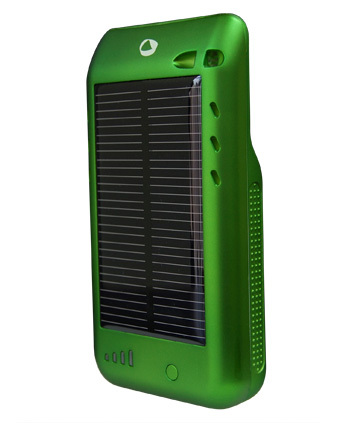 A universal solar case for phones and mp3 players may alleviate issues with batteries. 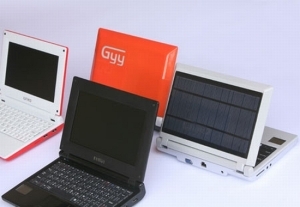 The second image is of the first solar powered net-book. This furthers the notion that future electronics may have strong enough solar panels to fully operate just like our trusty calculators. 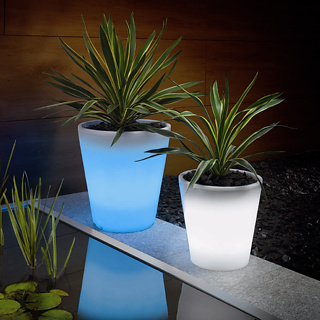 These innovations show that decorative garden landscaping and lighting does not have to be wasteful. 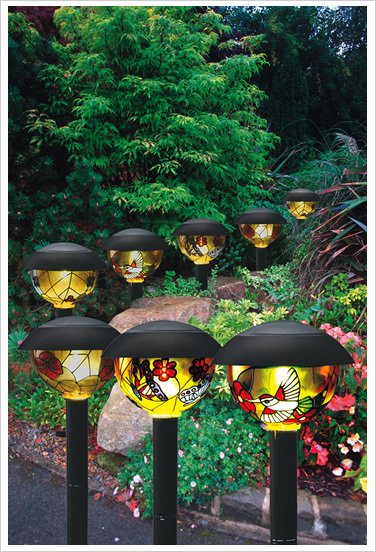 Lit pathways in a garden may not but essential, but if decor is a must, these solar items can light a garden without added cost. Imagine this concept on a larger scale. Cities can light their streets using solar energy. Costs can be cut dramatically all over the world. In some areas where low lit highways and streets are an extreme hazard, this innovation can save lives. Solar thermal power plants are being developed all over the world. Solar water heaters are becoming more prevalent as is the consumer friendly rooftop solar panel. Toyota added a solar panel rooftop to their Prius. These examples allow us to imagine a brighter future. When it comes to innovation everyone has the capability to imagine and invent small scale projects that can leave an imprint on the world and help make life less difficult for everyone.